The first part of this article will strongly pave its way in to using waste management as a strong tool in sustainable development. We encourage you to go over this two-part article to be able to have a full grasp on the effects of waste management and how it can help sustainable development all over the globe. Sustainable development begins with the concept that the sustainable purpose for all is an excellent quality of life for everyone, not only at present but for the future generations. To attain this, sustainable development is focused on attaining economic growth, in the form of enhanced quality of living. It is practically not about saving and scrimping, hair shirts, or punishing ourselves for savoring the natural resources like there is no tomorrow. But this mainly focus on us protecting and where possible modifying the environment not just for its own sake but for our own self-interest. A damaged environment would retard and slow the growth in terms of economy and decrease the quality of living. There are social progress which takes the needs of everyone, the efficient protection of the environment, intelligent utilization of natural resources, and operation of stable and high levels of economic employment and growth. One of the most fundamental areas for society to sustainably act is in how it throws away its waste, detritus, and thrash. Those that have the potential to contribute major damage are overusing of fossil fuel energy that leads to climate change, and of course, war. Waste management that are not sustainable poisons underground and water courses, leaves litter on the surroundings to kill and maim our forest, welcomes vermin and rats, pollutes air with unhealthy aerosols and odors which may lead to extreme damage or immense unusable large tracts of land. Now, to be able to aid in sustainable development, one major player is an efficient and enhanced waste management. The next installment of this article will discuss the ins and outs of sustainable waste management. It is simply better to dwell on these things before we are faced with the fact that it is too late. I hope you read the next one. Waste management, a duty for all! When talking about aesthetic appeal, there are several materials that can truly match the attractiveness and exquisiteness of wood shakes and shingles. Majority of wood shingles and shakes came from Western Red Cedar. Others get their shakes from pine of Eastern Cedar. If you look thoroughly, there is a great chance that you can find wood shingles that are made from oak, Cyprus and redwood. Throughout Indonesia Ulin ironwood is the most common shingle. Shingles, with their plain finished but elegant style, are produced from big chunks of wood. They come in regular sizes. Shakes have thick layers but some are cut from chucks of wood, majority are manufactured manually or by machine into the sizes described above. Further, you have two distinct weight features when purchasing your roof shakes; medium weight or heavy weight. You also have several styles to select from like hand split, hand–split and cut with a smooth bottom, and taper-split. These classes of roofing shakes are the primary concepts in majority of United States Houses for roofing tiles. Hand-split shakes basically are stronger and can last a significant amount of time as compared to machine-split shakes due to the wood fibers have not been cut which makes them prone to rot. Roof shingles and shakes of these classes normally have a life span ranging from fifteen (15) to twenty five (25) years. The most sophisticated shakes available in the market are straight grained heartwood as this are made from the immortal and sap-free part of the tree. It is crucial if you live in a place where the climate is humid, it is a bit of a complex in dealing with your roofing shingles with the fungicide after a year. However, it is also an excellent idea to apply a clear wood fungicide and preservatives. One of the main problems home owners have with roof tiles is the threat of heat and fire. A lot of the wood shingles available in the market at this point have been pressure-handled with the fire retardant chemical. These shingles possess a class “B” fire rating. The only way for you to acquire a class “A” fire rating is to apply retardant-treated shingles at the back of the gypsum board sheathing. Untreated shingles are easy to burn if there is a fire. On the other hand, for decorative reasons, you can also obtain fancy-but shingles which may come in several sizes. These shingles varies in a lot of patterns and shapes. These classes of wood shingles are generally utilized on exterior walls of a home, but a many roofing companies are doing their might to mix them in to the roofing system. It is best recommended to apply these wood shingles above open sheath which gives freedom for air to circulate to stay away from rotting. However, you can also apply it to closed sheathing but you will make sure the wood shingles or shakes are elevated off the decking for about an inch or two to allow appropriate ventilation with the help of wood spacers. · To avoid Global Warming. Nourishment of the natural resources in the setting avoids global warming. Global warming is a shoot up in the average temperature in the atmosphere mainly focused in the in the rampant boost of climate change in the surroundings. The resultant output is hot and warm climates that tend to extinguish animal and plant species making activities in life a bit of a complex. If the resources in the community are properly regulated, this quandary would be eliminated and resources will be sufficient for the generations of tomorrow. · Avoid bushfires and deforestation. Sustainable development means that those trees that are cut should be replaced and new ones should be planted for continuity. The opposite of deforestation that is the extinction of the plant resources in the surroundings results in bushfires; the burning of the forest results in the exhaustion of natural resources. In countries near the equator, bushfires and wildfires are very rampant and it needs to be addressed with the help of nearby countries as well. · Support self-reliance. The preservation of resources in the environment aids a country to depend on itself without asking help from other communities. Say for example, in the event that a country had preserved its natural resources like rubber, gold, and timber, they would not ask help from other countries. Unluckily at this point, a lot of countries import raw materials from other countries for sustenance of their industries. If in any case a country preserves its natural resources, it would invite self-reliance and the world will surely be a better place to live in. These discussed parameters channel the requirement to implement measures for sustainable development of the environmental natural resources. The primary guideline is total preservation of the natural resources coupled with discipline among the populace all over the globe. And mind you, the rest will follow. If writing articles such as this will pave a way to open a mind of even one person, we will still continue write as long as it can help the environment, however which way we can. It is high time that we tackle the issues of sustainable development. This two-part article suggests a bird’s eye view of what sustainable development has to offer within the inter-generational populace and the responsibility that one has in order for it to accomplish. It is a common knowledge that the world has been experiencing depletion of its natural resources. But the truth of the matter is, it is not too late for us to save the world. The initial offering of this write-up discusses the purpose of sustainable developments and how it will affect the lives of the people of tomorrow. And thus, what can we do to make the world a better place to live in today and tomorrow. Sustainable Development is technical enhancement of structures that thrives to meet the requirements not only of present conditions but of future generations by means of effective maintenance and management of the environmental resources. The main purpose of sustainable development is to make sure that the present environmental requirements of people do not encroach on those that the future human would also utilize and need. The sustenance is focused on preserving and maintaining the bio-resources that we have now in order for future generations to have sufficient resources. An unsustainable scenario is present when natural capital is utilized rapidly that in can be replaced or replenished. Sustainability needs that human activity only utilizes natural resources in such a manner that it can be replaced naturally. · Preserve and possess sufficient resources for the future. It is very essential to sustain the resources in the surroundings to make sure that no shortage will be experienced in the future - in the event that the natural resources are not sustained, future generations will suffer for having insufficient supply. · To maintain and uphold the industry’s survival. The Natural resources from the environment are raw supply connecting the numerous industries of the world. Their source of revenue and survival of these industries basically depends on these raw materials gathered from anywhere. It is these materials that are utilized in the production of products for the sustenance and advantage of humanity. If these resources were drawn to be in extinction, there would be a collapse in all of the industries around. · To avoid and foil exhaustion of the resources. The resources in the setting are hampered from permanently drying out if the methods of controlling them are enhanced. Sustainable development aids the natural resources to be in uniform supply. In the next installment of this article, we will continue the other guidelines that have a major impact in the world as a whole. Please stay tuned because you haven’t eaten the best of this. Allow us to walk you through the tunnel of sustainable development. Remember, we only have one home, let’s make it a better place. Let us now continue on the importance of tree species to be able to utilize dendrochronology at its optimum use. The history of dendrochronology is rich and the last part of this article will focus on the study in the medieval history as well as the present studies and innovation as regards the said technique. Truly indeed, the said process is very useful in all ways that anyone can capitalize on this kind of technique of identifying the age of the wood. Importance of Tree Species: Not all trees can be utilized or measured without added analytical procedures; this is because of the fact that not all trees have cambiums that manifests yearly. In tropical regions, for example, yearly growth rings are not regularly formed, or growth years are not related to years, or there are particularly no rings at all. Evergreen cambiums are irregular and do not accumulate on a yearly bases. On the other hand, trees in Arctic, sub-arctic and alpine regions react differently depending on the age of the tree. Older trees have minimal water efficiency which in turn may result in a minimal response to temperature changes. A recent attempt to utilize analysis of tree rings on olive trees justified that too much variation of the cambium manifests in olives to make dendrochronology viable. Emergence of Dendrochronology: Tree dating has been regarded as one of the earliest dating processed used in archeology, and it was invented by archeologist Clark Wissler and astronomer Andrew Ellicott Douglas in the early decades of the 20th century. Douglass paid close attention in the history of climatic variations manifested in tree rings. Basically, it was Wissler who suggested using the method to specify when adobe pueblos of the American southwest were constructed. The Beam Journey: Archeologist Neil M. Judd is recognized with convincing the National Geographic Society to put up the first Beam Expedition, in which log sections from occupied pueblos, prehistoric ruins, and mission churches from the American Southwest were recorded and gathered together with those living from the ponderosa pine trees. The width of the tree rings was matched and cross-dated, and by the early 1900s, chronologies were dated back to nearly five hundred years. A Closer look at the History in Building a Sequence. Over several hundred years or so, sequences on tree rings have been constructed for several species all over the globe with the longest to-date consisting of more than twelve thousand (12,000) years in Central Europe completed on oak trees conducted by Hohenheim Laboratory and a nine thousand year long bristlecone pine wood sequence in California. But accumulating a chronology of climate change in a region at the present time is not regarded privately on tree ring widths. Components like elemental composition called dendrochemistry, wood density, stable isotopes captured within its cells and the anatomical wood features have been utilized in relation with traditional tree ring width analysis to study air pollution effects, changes in soil acidity, and uptake of ozone through time. A present dendrochronological study of wooden building rafters and artifacts within the Medieval town of Lubeck, Germany is an example of an array of ways the method can be utilized. The medieval history of Lubeck includes several important events that are relative to the study of forests and rings as well as laws passed in the 12th and 13th centuries coming up with sustainability guidelines which resulted from the black death (two big fired in 1251 and 1276 and a population decline between 1340 and 1430). Construction emerges at Lubeck and are marked by the detailed use of younger trees, which alarmed demand outpacing the capability of the forests to replenish; busts like after the Black Death decreased the population, are linked by a long period of less to no construction at all, together with the use of adult and very old trees. In some of the lucrative houses, the wood rafters utilized during construction were cut down at different periods, some ranging from more than a year; while other houses were cut down at the similar time. The first part of this two-part presentation will open your eyes to the importance of this process. It is very useful in all ways to determine the age not only of the tree, but on the wooden furniture and items as well. Dendrochronology is the process of analyzing patterns of tree rings in wood to be able to know the specific age of the wood. It has been utilized for a long period of time in scientific research like archeology and geography. It can also be utilized to know when a wooden furniture or instrument was made. Auction houses, historians and violin appraisers utilize it to determine the wood quality as well as the age of furniture and instruments like violins, cellos and violas. The process of dendrochronology initiates by scrutinizing spruce top of the wood, or a violin for instance or high resolution digital photos of the items. Foe each year a tree lives, one layer develops below the bark of the tree which creates a ring. Tree rings consists of double layers of wood, a “lighter” early wood and the “darker” late wood. The importance and distinction of each layers varies and is dependent on rain, soil and light that the tree was exposed year round. In other words, dendrochronology is the scientific term for tree-ring dating. It is the formal way that utilizes growth tree rings as a specific record of climatic changes in a region, as well as a way to estimate the construction date for wooden furniture. As archeological processes go, dendrochronology is practically accurate: if the tree rings in the furniture are preserved and can be tied within the exisiting chronology, researchers can basically specify the accurate calendar year and often season where the tree was cut down to manufacture the item. Because of that accuracy, dendrochronology is utilized to measure radiocarbon dating, by supplying science a measure of the atmospheric conditions which are prone to varying radiocarbon dates. Radiocarbon dates which have been calibrated or measured by contrasting dendrochronological records are regarded by acronyms like cal BP, or calibrated years before the present. On the other hand, Tree ring dating works because a tree grows bigger not only in terms of height but it also accumulates girths in measurable rings in its lifetime. The rings are considered the cambium layer, a ring of cells that lie between the bark and wood from which a new bark and wood cells begin; each year, a new cambium emerges which leaves the old one in place. The cambium’s cell is measured as the width of each tree ring. Environmental effects in to the cambium are initially regional climatic variations, aridity, soil chemistry and changes in temperature which altogether are scrutinized as variations in the width of a specific ring, in the wood structure or density or in the chemical composition of the call walls. In truth, during dry years, the cambium’s cells are smaller and thinner layers will manifest as compared to wet years. On the next part of this article, we will discuss the importance of tree species and the emergence of dendrochronology as an essential process. The idea here is to know your wood. Wood is comprised of cellulose fibers bound together with an element called lignin. It can be classified as softwood or hardwood, basically depending on the class of tree from where it originates. Further, new growth wood or sapwood on a tree is still alive. On the other hand, heartwood refers to the part of the tree that has already stopped functioning. These two classes of wood also have several uses and features. Knowing a lot about the different woods can aid you in finding out which to utilize, how to work the wood, and what issues to anticipate, and more importantly, the proper maintenance and care of the finished wood product. There are tons of different types of wood and trees, with a broad array of colors, grain, figure, density and other features that affect its application and workability to several elements of uses. The following is a description and listing of some of the more popular woods utilized in woodworking. · White Ash. This is an inexpensive but durable wood that has light color texture and bends well. White ash is utilized as sports equipment like canoe paddles, baseball bats. It is also used in tool handles, pool cues, and other items that need strength and durability. · Balsa Wood. This is considered to be one of the lightest hardwood, balsa wood has been utilized for model building, canoes, rafts and other scenarios where a buoyant, light wood is required. It is basically white in color and prices vary depending on the country. This is extremely soft and can be worked with hand tools. Durability of this type of wood is a bit questionable. · Basswood. This is also a versatile but cheap hardwood that is frequently used for woodcarving. It is light, soft, fine textured and colors manifest from light to dark brown. It is also used for making kitchen utensils, toys and crates. · Birchwood. This wood is also known as paper birch. It is a white tree growing in wild forest and its bark peels like paper every now and then. It has creamy sapwood and darkens toward the heartwood. This is probably one of the most famous woods with beginner furniture makers because of its cost-efficiency. It can also be utilized in making toys, plywood, and cabinets. It will tend to weaken when it is left unfinished. · Butternut Wood. A course textured which is light in color. This is commonly use for veneers, church altars and woodenware. · Aromatic Cedar. This is unique in its red shade. The aroma is somehow spicy yet pleasing. More commonly known as red cedar, is a famous woodworking material for closets and containers. It has light and dark alternating colors and may also have dark knots, making it an eye candy especially after finish. · Cherry Black Wood. The sapwood is light in color but the heartwood does vary from light brown to dark burgundy color. The wood grains look appealing and it is often used in cabinetry. These types of woods are the best for beginners in the woodworking industry. There more to discover in terms of woodworking. Primary and Secondary Forests: the differences to know. Rainforest do exist in temperate climates! They are rainforests in many countries and while popular belief is that they exist only in tropical climates, they also do temperate climates, including in the United States, Russia or Canada. Rainforests grow thick canopied thanks to the abundant rainfall, which create an amazing diversity of both vegetal and animal species, In temperate climates, there isn't however that characteristical humidity of tropical rainforests as they grow with different parameters such as latitude, altitude, flooding or types of soil. These forests come up with a mosaic of vegetation classes, a diversity found nowhere else and....that shall be protected at all costs. Sadly, the famous case of the Amazon forest whose size is shirking at a fast pace every year is happening in many other places such as Indonesia, where Kaltimber is located. Rainforests are also called "Primary Forests" thanks to their pristine untouched vegetation because unaffected by any human activity. 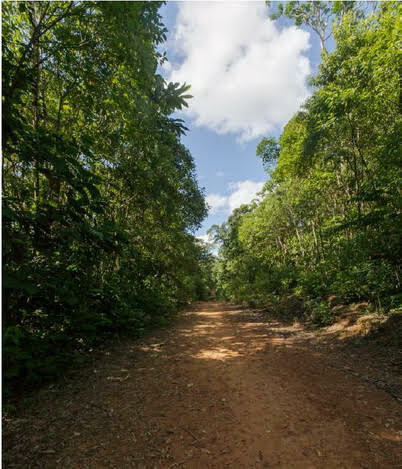 Primary full ceiling canopy and multiple layers of understory are prevalent in primary rainforests. The ground floor is basically clear of heavy vegetation because the above canopy allows limited sunlight penetration, the lifeline of plants growth. Periodically, when trees fall, the canopy opens and allows the growth of plants. Primary forests are considered to be the most biologically diverse class of forests and to the surprise of many, they still exist in Europe. Secondary Forest, a human-caused definition. On the other hand, secondary forests are rainforests that have been disturbed by human activity in a way or another. Secondary forests often become so because of logging activity for agricultural purposes and are characterized by a minimal canopy structure, less diversity and smaller trees. As a result of a lighter canopy, more warmth and light will reach the floor which supports ground vegetation's growth. Based on studies, from the Food and Agriculture Organization of the United Nations, it was estimated that primary forest comprises about 1/3 of the total forest area. However, they are rapidly decreasing at a rate of 6 million hectares each year because of intensive logging, usually focusing on the harvesting of a couple of tree species in a particular area. Botanists do not know how long it takes for the secondary forest to reach the levels and structures of biodiversity as primary forest. Studies have shown that trees in the Central Amazon forest, on the average, are several hundred years old, suggesting that primary forests take centuries to grow to the level we are witnessing them today. Regardless of what class or type of forest we are talking about, what is important is to contribute to nature and buy wooden products bearing the label FSC (Forest Stewardship Council), an international non-profit promoting responsible management of the world’s forests. It’s about time for us to introduce you to Kopral and Shelton, two orangutans that Kaltimber has adopted in May 2018. World NGO Day (27/02/19) coupled with World Wildlife Day (03/03/19) is indeed the perfect time to highlight the amazing work of Borneo Orangutan Survival (BOS) Foundation, who is providing love and care to our “kids”. Kaltimber is strongly committed in advocating against deforestation, be it for the purpose of logging precious wood species such as ironwood (ulin), or for massive clearing of forest to make space for palm plantations. Kaltimber only process timber reclaimed from old structures such as boats, pontoons or buildings into flooring and decking. Ironwood is one of very popular among timber exporters because of being one of the hardest and most durable timbers in the world. While Indonesia has a total prohibition on export, and cutting is restricted to certain dimension, there is a lot of illegal logging. Today, only half of Borneo forest is left and with a “current deforestation rate of 1.3 million hectares per year” (source: WWF), we fear for its future. We have always looked with a mix of sadness and anger at what is happening to orangutans in Borneo, where their available habitat to live peacefully and away from humans, has drastically shrinked, statistically increasing the potential for encounterings with humans whenever the primates are looking for food that use to be plentiful in the forest. Such meetings often result in dramatic consequences because the population feel like they have all rights compare to those who were living there way before them. Kopral and Sheldon were victims of this situation but fortunately BOS Foundation was there to rescue them. Kopral is a 13 years old male who was kept in a cage by his tormentors. One day, he managed to escape, but while looking for the safety of height and probably looking for a tree that was nowhere to be found, he climbed an electricity pylon that electrocuted him. His arms got burned so badly that the only way to save him was through their amputations. Thanks to BOS Forest School, he learned how to climb trees using his mouth and feet and nowadays, Kopral is a dominant man with tough character, but still have lots of friends! Shelton has nothing less of a sad story but with a similar happy ending thanks to his rescue by BOS. He was found with multiple shot wounds as he probably only looking for food and angered whoever it belonged to. Humans can be very cruel and forgetful of their own responsibility in having orangutans coming closer to their homes and shooting at him was their way to keep wildlife away from “their” property. All the gun pellets were removed, but Shelton’s right eye was too injured to be saved, causing him permanent blindness. Maybe it is the shared trauma and permanent injuries, but it appeared that Shelton and Kopral are great friends and, while not living in the same quarters anymore, they spend time together during Forest School hours, where all orangutans get the self confidence they need to, when possible, be released back into the forest. This will unfortunately not be the case for our two friends, whom disabilities would put them in danger back in the wild, so their care will require lots of funding. We would be grateful if you would join us in fostering Kopral & Shelton, but there are many other orangutans you can adopt through BOS. We cannot highlight the amazing feeling we have when receiving news about our orangutans: the progress they make in all aspects of their life, from new friendships to self confidence, really does something to your soul. Fakes have been rampant and have blended with real antiques. If an individual can make money on something, he is often led in to trying to make more by tweaking a little. So what does that mean for all? We need to be cautious and sharp when looking for our old antiques. But the more important question is, how can we tell if what we have is a fake item? There are some parameters for cautious pickers that might help…sometimes. The first thing that you have to do especially if one is wooden furniture is to spend time with genuine furniture. The more you are familiar with the furniture, its artistry and detail as well as the stroke and grains of wood, there is a slim chance that you will be fooled. Wooden chest furniture from China was mass produced and cheaply made and you can basically see the workmanship is totally different on the real pieces.You will see “straw marks” where the molds were wearing out. Newer wooden furniture will not have those identity marks. Watch out for pieces that appear thicker, a lot grainy that what you would expect. In other words, be careful with pieces that are almost perfect and too good to be true. Wooden furniture with metal or bronze inlays is often embedded irregularly because of time. Some metals are usually made of cast iron with bronze plate. Magnets tend to stick easily with these items. If it sticks, it is definitely not bronze; your wooden furniture might not be an antique. The next thing that you have to look for is the type of joinery. Antique joinery are very detailed especially in wood furniture. The workmanship is proven to be most of manual work. That is why artistic innovations are very prevalent in these items. If you come across a near perfect joinery, chances are it is not antique. There is also a probability that the process is not manual but machine manufactured. Nowadays, mass produced furniture are machine manufactured. Another trick is to look the way the piece was made. Again, the joinery should be consistent with its purported place of origin and age. You also have to regard the tool marks and hardware. Patinas are also prevalent on antique wooden furniture. Wear should also be prevalent where it should be. As compared to fake wears that is machine manufactured. Fakers nowadays are extremely good at what they are doing; they often utilize cheap materials or put other elements that make their craft look real. Sometimes, they make a fusion of other elements to make a whole new item. Sometimes, if one is not too keen on inspecting an item, chances are, they might not be able to recognize a fake item. If the item is too expensive, that does not readily mean that it is a real antique. Sometimes, jacking up prices for an item to look real is a scam that a lot of fakers do. Just a final word: some fakes were made several years ago. That, in itself makes them antique in their own regard, so be very careful. STAY TUNED! We will soon publish an article about real and fake reclaim Ulin. We have a content writer. Would any text published on our blog be yours, please let us know.